We exist to support the Commission’s motivations, needs and expectations through innovation and education as the backbone and public face of the Commission. The National Office serves the Commission as a liaison by developing and providing resources for communication, organization and training. Our excellence, efficiency and professionalism benefit the Commission, victims, offenders, law enforcement agencies, and society as a whole. 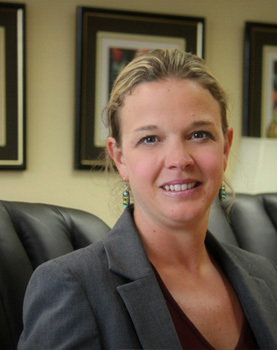 Ashley H. Lippert is the Executive Director for the Interstate Commission for Adult Offender Supervision. She is responsible for the operation of the Interstate Commission and for representing the Commission to Legislatures, Judiciary, Congress and the general public while promoting its concepts and spirit among member states. Throughout her career, Ashley has engaged in public safety issues on both a state and national level. 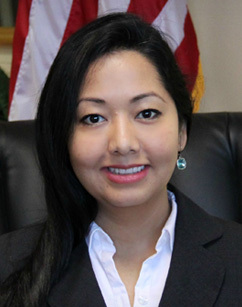 Prior to her current assignment, Ashley served as the Assistant Director to the Interstate Commission for Adult Offender Supervision before serving seven years as the Executive Director for the Interstate Commission for Juveniles. Her experience also includes judicial education and pretrial work for the Administrative Office of the Courts for the State of Kentucky. A graduate of Eastern Kentucky University, you can contact Ashley at the Commission’s National Offices located in Lexington, Kentucky. Allen Eskridge is the director of policy and operations for the Interstate Commission for Adult Offender Supervision. He is responsible for establishing and executing strategic plans for the organization, ensuring alignment of policies with rules and regulations, providing general operating/administrative guidance and, directing policy research. Allen’s public service tenure includes strategic planning and financial oversight for college resources within a public university as well as policy and financial analysis for varied cabinets and agencies under the Kentucky Governor’s Office. Moreover, his service includes two terms as Assistant Secretary of State of Kentucky. He is a graduate of Transylvania University and University of Kentucky where he completed his masters and doctorate degrees. Barno Saturday studied International Law at the University of World Economy and Diplomacy and holds a Bachelor of Arts in Political Science from Berea College. She also received the Certified Meeting Professional (CMP) certification. She has been with the Interstate Commission since 2007. At her spare time she serves on the Bluegrass Crime Stoppers Board. 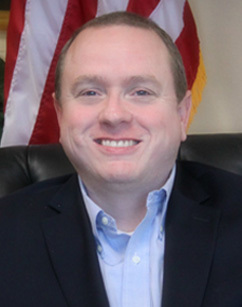 Xavier Donnelly began working with the Interstate Commission for Adult Supervision in 2005. As Systems Manager, Xavier deals with many technical projects the Commission pursues. On a daily basis, he administrates the help-desk and manages ongoing development and maintenance for the Interstate Compact Offender Tracking System (ICOTS). Xavier is also responsible for creating data analysis tools for the commission like the ICOTS external reports and Compliance Dashboards Xavier is a graduate of the University of Kentucky where he received a Bachelor of Science in Business and Economics and a Masters of Business Administration. 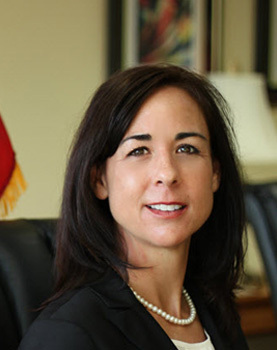 Mindy began her career with the Interstate Commission for Adult Offender Supervision’s National Office in 2004. As the Training Coordinator, Mindy administrates online trainings, updates training publications and provides support in onsite trainings through the Commission’s Technical and Training Assistance program. Mindy also assists in the Commission's annual compliance audits and serves as a project team member in the development and support of the Interstate Compact Offender Tracking System (ICOTS). Mindy is a graduate of the University of Tennessee with a Bachelor of Science Degree in Business Administration. Kevin began his career in 1993 after earning his Advertising degree from the College of Communications, University of Kentucky. Despite enjoying 4 creative years as a graphic designer for 2 international companies, he plunged into the world of website design in 1997 where he designed and maintained websites for local, regional, national, and international clients. Kevin joined the ICAOS National Office in 2006.